At Stigan Media Inc we are a web design agency located in Vancouver with vast experience and knowledge in online marketing that enables us to provide our clients with options and solutions that are easy and affordable to implement. We are very confident in our ability to optimize digital strategies for all types of businesses. 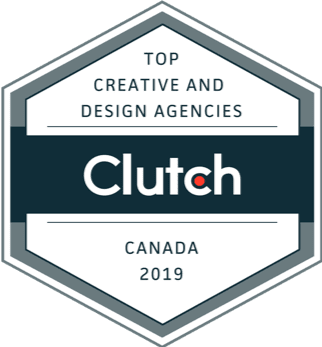 With that said, we are very excited to announce that Clutch has named us as a Leading Creative & Design Firm in Canada for 2019. Clutch is a B2B ratings and reviews platform that evaluates companies based on their ability to deliver service, their overall brand strength, and client satisfaction rates. We have been featured among top logo design companiesin Canada based on these strict criteria. Clutch has done excellent work for us in gathering and documenting in-depth customer reviews. “I find myself giving their team more and more work as they keep generating a ROI.”– Owner, Atlas Pest & Wildlife Control Ltd. In addition to our feature with Clutch, we have also been profiled on their sister site, The Manifest, as one of the top web design companies in Canada. We have also been featured on Visual Objects, which is an online portfolio website that helps firms expand their reach. It means so much to be awarded as one of the Canada Clutch Leaders in 2019. Clutch gives us so much credibility in the marketplace, especially due to the fact that they use verified references and feedback from clients. People know that they can Trust the companies that Clutch recommends. Overall, Clutch has been very helpful in our growth; their continual acknowledgment and recognition of our services has helped in us building our brand as a top online Creative & Design provider in Canada. We cannot express enough how proud we are as a firm to be named a leader in our industry and we will only continue to grow and expand as the year continues.